Many times, homeowners looking to renovate their homes have pulled an aging door only to reveal siding, sheathing, and framing that’s consistent with colonies of ants and rotting wood. The lack of metal waterproof deck flashing leaves the house without any means to prevent water from seeping in between the boards or supporting decks of the establishments. Most of the time, the resulting damage is not only destructive, but it’s also expensive and time-consuming to repair. Flashing in simple terms refers to a thin layer of waterproof material installed to prevent water from getting into places it’s not supposed to reach. 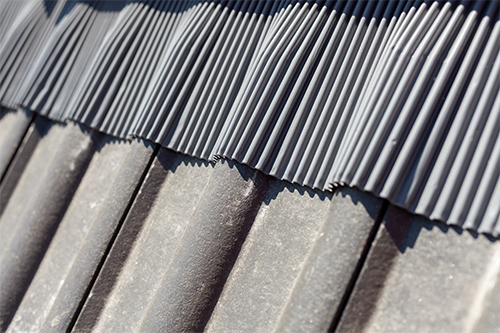 Metal flashing ensures water flowing from the roof, or other sources go straight to the ground without seeping through various cracks or gaps in the establishment. Building a waterproof deck cost money. However, imagine the amount of money it would cost you on maintenance if you did not have a proper or any flashing system. Wood framed balconies are the worst hit in cases where flashing is absent. The evidence is usually seen through leaks, visible rot and destroyed finishes. The worst of all is the concealed structural damage from long-term water migration. Water gives life. Also, water brings death. 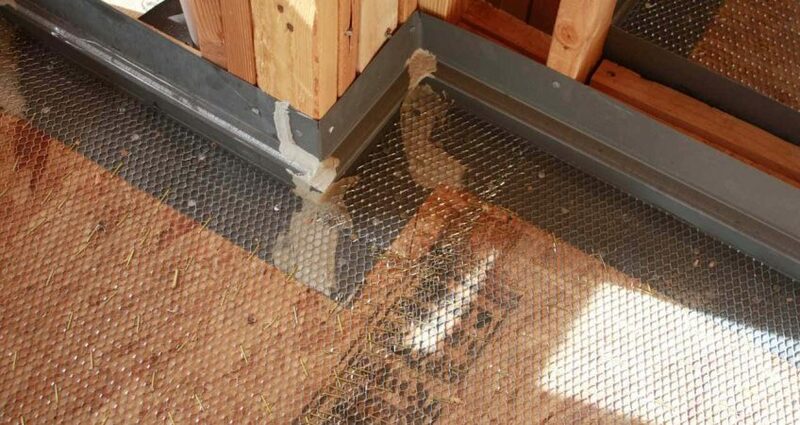 When a waterproof deck lacks a proper flashing system, water from the roof can easily find its way inside rough surfaces into various parts of the house. Flashing ensures instances of wood or plywood rot are unheard. The wood structure remains dry since the flashing takes away all the water. This also discourages inhabitation of destructive ants. This way your plywood and the foundational structures are safe from rotting caused by water retention. Reducing rot cases also has another perk, strength of structures. The number one enemy to structures mostly is water. Keeping water at bay means your structures are safe from buildup moisture. Therefore your structures are safe from the rot and in turn, increased durability altogether. Nothing feels nicer than relaxing on the high-level deck in the backyard. Now imagine if it starts raining and the roof starts leaking. Lack of flashing could lead to roof leaks which are unpleasant, and create a bad picture and tarnish the decorated ceiling or finishing and could in extreme cases result in foul rot smell. Sometimes things get stuck on the roof of the deck, and we have to climb and retrieve them manually. For weakened layers, possible collapse may ensue leading to serious injuries. Also, lack of flashing of the deck leading to rotting of the supporting board or plywood could result in the eventual collapse on its own due to the weakening of the underlying support structure. As mentioned earlier, too much water migration of the deck leads to rotting, which automatically translates to reduced strength. It doesn’t matter if the deck is waterproof, water still has a way to bring rot to the underlying structure and eat up to the whole deck. Waterproof layers may stop water from passing through, but cannot prevent water from staying. Pooling of water on the deck exposes the roof to eventual rot, or act as a site for breeding of bacteria or mosquito which is a health hazard. Contact us for more information.